Agrex Compression Spring PA251026. This compression spring measures 1 1/2" in length and 3/4" in diameter. 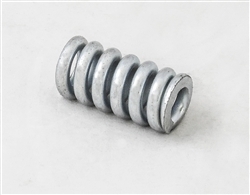 This Compression Spring is used on the Agrex XL and XA series spreaders. Click here to view the diagrams.